Put our expertise to work for you. At Speak for Those Who Cannot Programs, Inc., we are proud to have received the following recognition for our contributions to the community as a premier provider of services for the Willmington area. Click here to see a interesting chart from the Bureau of Labor Statistics that shows the percentages of women in certain occupations. See the SPEAK Careers Page for information about SPEAK Volunteer Internship Opportunities. 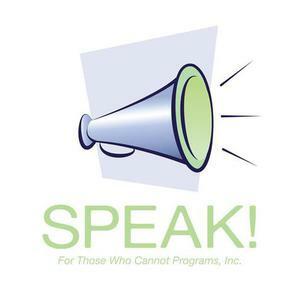 Speak for Those Who Cannot Programs, Inc. raises awareness about a variety of issues that affect the community. and the impact these decisions have on our communities. ​See this Barna article from March 2002 and this more recent article exploring singleness in the Church. This SPEAK Awareness Campaign will share with its readers information about individuals and families facing and the organizations on the front-lines of this cronic issue. It used to be that the face of homelessness was that if single men middle aged men. Today the facts show that an increasing number of women, children and whole families are now experiencing periods of homelessness in alarming numbers. For more information, visit the National Coalition for the Homeless website .